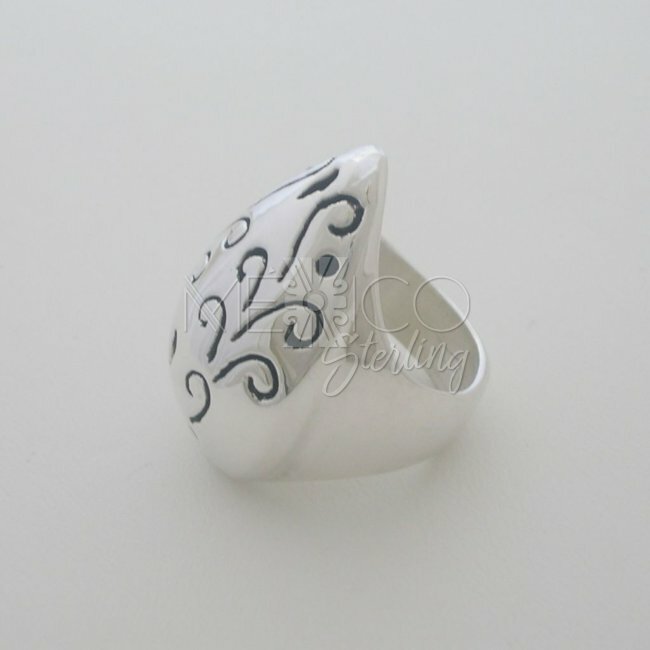 Carved Vines Taxco Sterling Silver Ring - $40.00 : Mexico Sterling Silver Jewelry, Proundly from Mexico to the world. 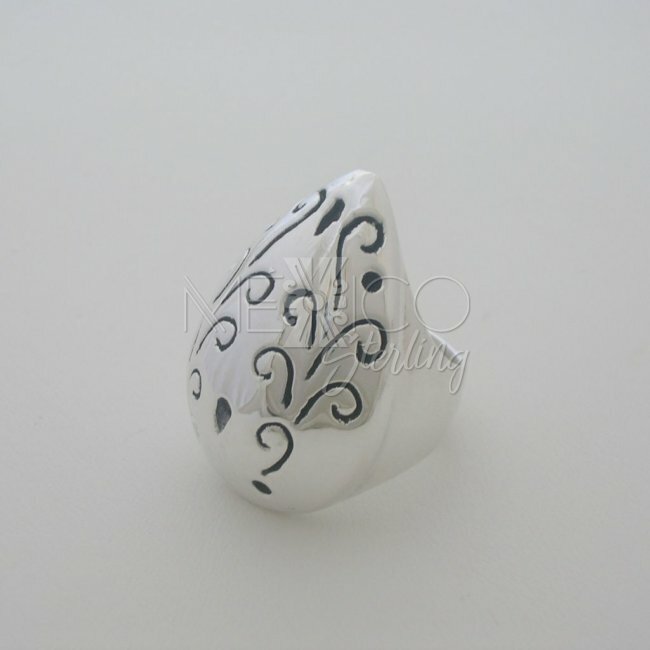 This gorgeous ring come with a story that is as fascinating in its detail as is the ring itself. Large in size and attractive in appearance, it is the kind of piece that one cannot miss. A special technique called the Electroformado has been used in the creation of this unusual piece of jewelry. 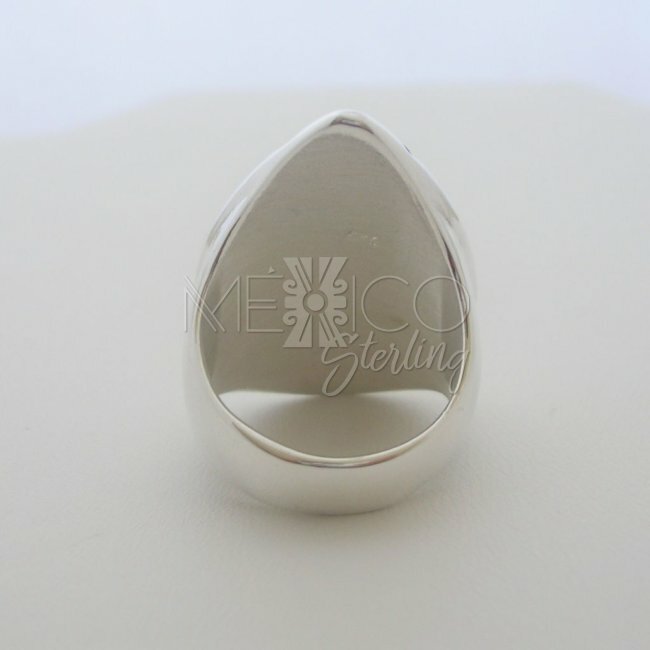 While it looks pretty hefty, this Taxco silver ring is amazingly light in weight. This is thanks to the technique used in its crafting. With this special technique, the inside of the raised portion of the ring is filled with various materials. 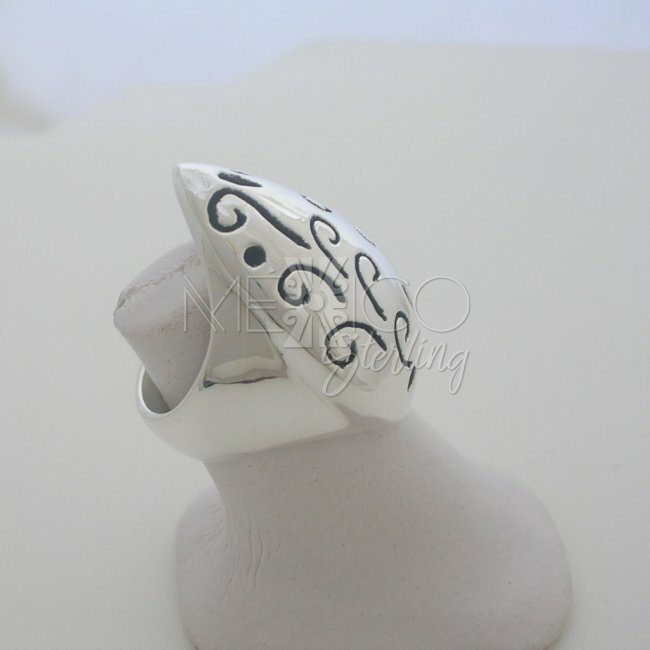 This gives the perfect shape to this ring without increasing the weight of the silver ring. This is also one of the reasons why the ring is not only light in weight and hence easily wearable but also why ultimately it is so affordable. 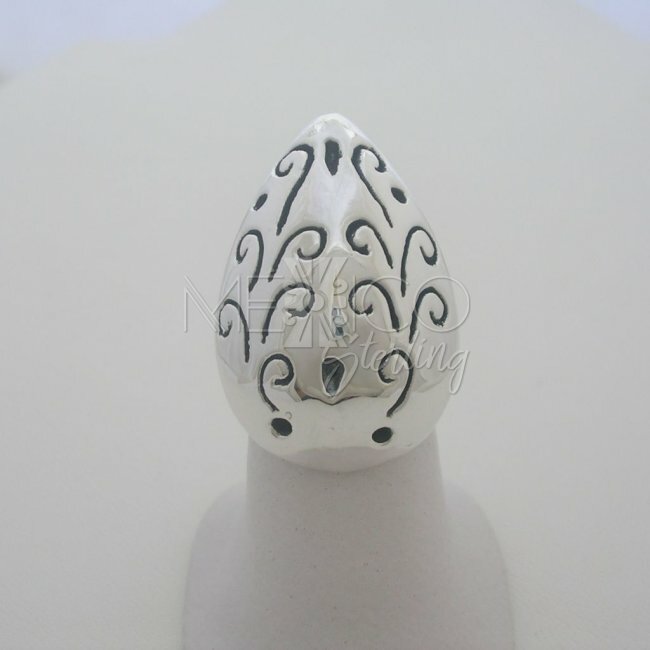 This piece is one of the most charming and innovative of silver 925 rings you can find. 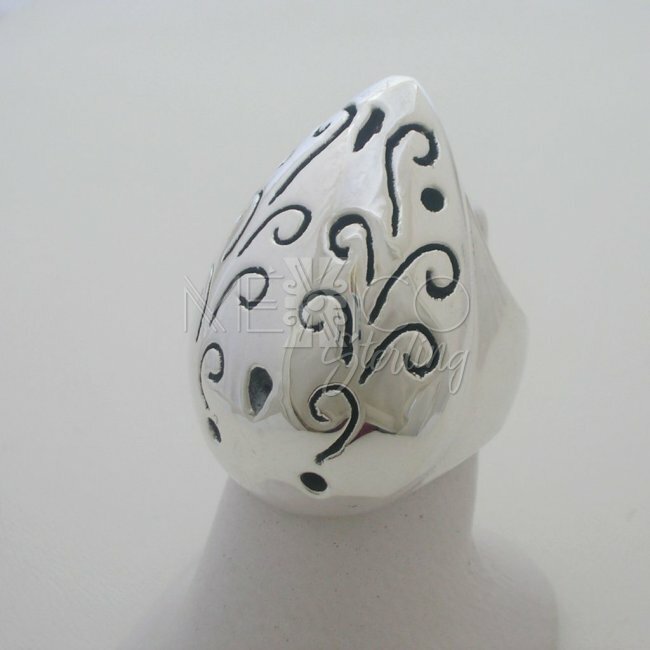 Look closely at the carvings on the surface and you will fall in love with the utter charm that comes from the handiwork done on the ring. 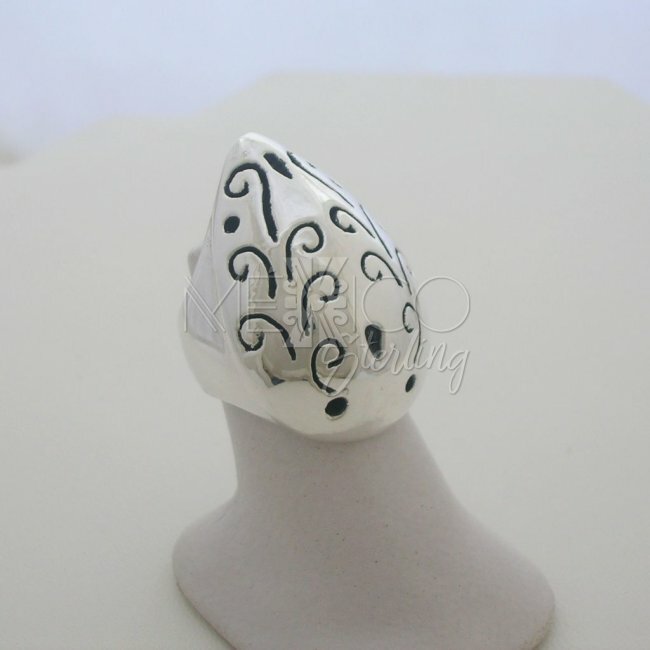 This piece is only available at the moment in size 7 1/2. If you need a larger or smaller size, please let us know. We can help.